Take FOUR ( 4 ) GHR Platinum capsules with 6 to 8 ounces of water. For best results take at bedtime, three hours after the evening meal, on an empty stomach. Take only for 5 days and then skip 2 days. Never take 7 days per week, so that your body will not "get used to it'. For optimal effectiveness take as directed for 3 consecutive months. Dr. West recommends for people who want to feel their optimal potential to use GHR Platinum for at least a full six months. 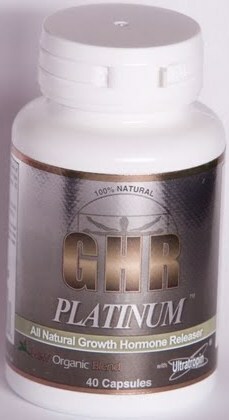 Take just TWO ( 2 ) GHR Platinum capsules with 6 to 8 ounces of water. For best results take at bedtime, three hours after the evening meal, on an empty stomach. Take only for 5 days and then skip 2 days. Never take 7 days per week, so that your body will not "get used to it'. For optimal effectiveness take as directed for 3 consecutive months. Dr. West recommends for people who want to feel their optimal potential to use GHR Platinum for at least a full six months. Many people notice improved sleeping patterns in the first few days of starting the with GHR Platinum program, along with various general health improvements, including increased energy levels during the first few weeks.